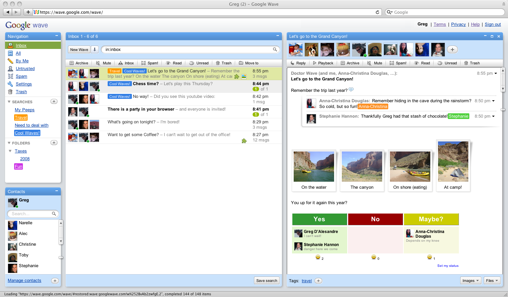 Google Wave is next revolution over Internet – as I see it. 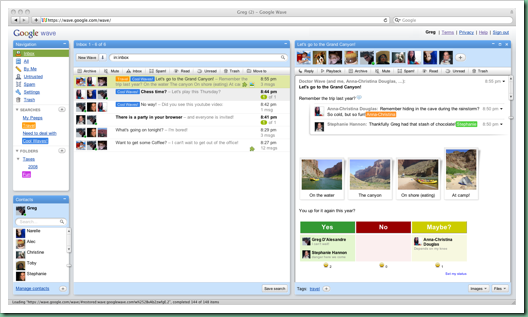 If it grows as expected, Google Wave will replace desktop-based messengers, document sharing and image editing applications and the development platform used behind Wave can become next revolution in web-based application development. Fingers crossed about its launch world-wide.